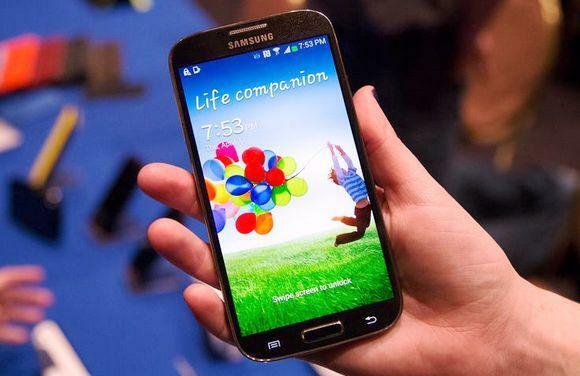 Samsung Galaxy S4 is the latest offering from Samsung which is the successor of the famous Galaxy s3 which changed the face of Smartphone industry. S4 is the smartphone after S3 which has been cleverly made by increasing the Screen Size to 5 inches but keeping the length of the phone same but decreasing the width and the thickness of the smartphone. S4- 136.6 x 69.8 x 7.9 mm but S3 – 136.6 x 70.6 x 8.6 mm. The Resolution of S4 is also higher compared to S3 with S4 having – 1080×1920 pixels on a 5 inch screen compared to the S3 with – 720 x 1280 pixels on a 4.8 inches screen. To help make the phone function to its capabilities Samsung has given 1.6 GHz octa-core Samsung Exynos 5 processor or the 1.9 GHz Snapdragon Fusion Pro quad-core processor depending on the location and it is equipped with a 2GB RAM. Samsung has included S Voice in response to Apple’s Siri, which helps users to verbally control 20 functions on the phone. Hovering capabilities known as Air Wave, which allows users to swipe between screens, videos, photos without actually touching the screen. Smart Scroll uses a sensor and the front camera to automatically scroll when a person is done reading a certain paragraph. Smart Pause is the feature where the screen shuts down when it senses the person has closed their eyes and no longer looking at the Screen and switches on automatically when the viewer is looking at the screen. Group Play is a feature that allows users to use NFC or Bluetooth to tap and transfer videos, photos, music and even engage in multiplayer games with other S4 users. Dual camera allows users to use both the cameras at the same time when trying to take a photo. Drama Shot combines all the actions from a Burst shot into one screen.